Long before the cheers of victory were heard, many fierce and fearsome battles were fought. Every good soldier needs a weapon. If armoured vehicles are your weapons of choice, there are some good vehicles left over from somebody's recent campaign in Berlin. Pick what you need and get ready for battle! 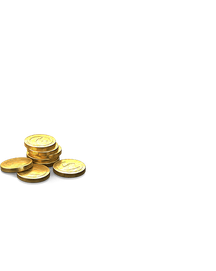 The Brother in Arms "0 Skill" - allows you to obtain your crew's 2nd skill as easily as you would a 1st skill. This Soviet Tier VII heavy tank features a straight glacis plate of increased effectiveness, differentiating the IS-2 from the regular IS tank researched in the Soviet Tech Tree. This version became the epitome of the Red Army’s might and saw active use during the later months of World War II. 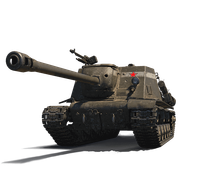 This IS-2 is modelled in high definition and bears the broad white identification markings on the turret, worn by the tanks that fought in the Battle of Berlin. 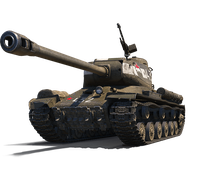 Mighty and easy to master, the IS-2 is a great choice for heavy tank fans and collectors alike. This British Tier VI medium tank is a collector’s version of one of the most distinguished vehicles ever fielded by the United Kingdom. 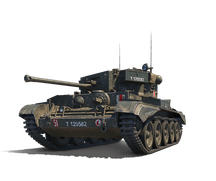 Amazing mobility and a rapid-firing gun make the Cromwell one of the most esteemed vehicles of its tier. The Cromwell B is a highly detailed model of the real vehicle, bearing a historical paint job and numerous carefully reproduced elements that will please even the most demanding connoisseur of WWII armour. Swift and elegant, Cromwell B is a perfect gift for any medium tank commander or collector. 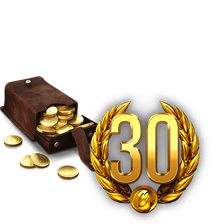 An immortal classic joins World of Tanks! This T-34-85, nicknamed Rudy, from the Polish TV-series “Four Tank-Men and a Dog,” will be a great present for anyone who grew up watching the adventures of Janek, Gustaw, Grześ, Tomuś, and their dog Szarik. All these characters are represented in the game as the crew of the legendary tank and come with the Brothers in Arms perk. 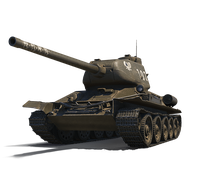 The combat parameters of the Rudy are very close to those of a standard T-34-85 from the Soviet Tech Tree. The main difference is the unique exterior of the vehicle—Rudy is modelled in high definition, with careful attention to minute particulars, and exhibits all the details of the original vehicle, including the signature palm prints of the crew. This Soviet Tier VII tank destroyer was created on the basis of the IS heavy tank. It is armed with a quick-firing and powerful 122-mm gun. Although its single-shot damage cannot be compared to that of the legendary BL-10, the gun’s high rate of fire enables it to deliver over 3,000 damage per minute. A low silhouette and decent manoeuvrability make this vehicle an ideal tank hunter. The ISU-122S is modelled in high definition and depicts one of the vehicles that stormed the streets of Berlin. White stripes on the sides served as identification markings for other Soviet forces. This is truly a must-have for collectors and all those who love Soviet armour.